Countless writers query me, wanting to employ my services, who haven’t written much. Perhaps a few chapters, with an idea of where the rest of the book is going. Perhaps even a first draft. Often this is their initial stab at fiction, and before they’ve even contacted me, they have already signed with an Indy house, have the cover and pub date. Possibly even a publicist. Oy! As a developmental editor, I can and do work with writers at very early stages, but not often. I counsel them to do their own legwork first, and that means, as the mantra goes, to write and write and write some more. Then, study others’ works, which means, of course, read and read and read some more. Of times, new writers do read, although only in the genre they’re pursuing. But the point is to read widely, including the classics, both pre-twentieth century and the more modern ones. I do laugh at how often my writers tell me later that I’ve ruined reading for them, as they’re constantly picking through substantive mistakes in others’ work. But I assure them that’s temporary—that while they’ll always find ways to make books better, they’ll eventually truly and so-gratefully appreciate great works. And they do. When a writer has done the above, working with a gifted book editor proves so much more effective. That sounds quite obvious, but the reason has more to do with just skill level. The writer himself is then in a place much more conducive to learning, with a broader foundation upon which to build his craft and his book. Getting there just takes time and effort. It takes rolling up your sleeves, doing the hard work, mastering some patience, and also allowing your skin to thicken a bit in order to absorb criticism and learn from it rather than bristling and blaming the messenger. And it speaks to something deeper and more numinous as well. For it’s those who stick it out through all of the above who indeed, have a wondrous love of this craft we call writing. And it’s from those book authors that brilliance comes, and we all remember why we do this in the first place, which in the end is the love of the word and the reverence for great writing. The ability to take the reader’s breath away in a few lines, and leave her longing for more. Well said. From someone who took 7 years to learn the craft of writing and rewrote a first novel 4 times and hopefully improved even more on the second novel. There is no other way than what you stated above. As a small publisher, I frequently see manuscripts that are obviously first attempts at writing. I then must diplomatically steer the writers to various educational options and writers groups to help them learn the craft overtime. Unfortunately, with the new technology novice authors can skip the most important part of the process to publish disappointing books. Oh, Wendy, I LOVE that–taking 7 years to learn the craft, and then rewriting your novel 4 times. That’s the name of this game! Great testament from someone who loves the written word. And yep, I often think technology will be the death of literature, for exactly the reason you stated. I agree with you point on doing the legwork. 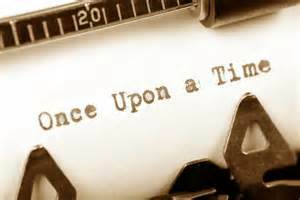 After all, the story and the message has to be the author’s – not the editor’s. And it their is not a cohesive and compelling story, there would not be much to work with and improve. The point about reading many different genres is spot-on. Immersing oneself in completely different areas is often a source of inspiration and ‘Aha’ moments. I find thoughts like ‘what if this happened over there’ or ‘what if this and that were somehow joined’ extremely exciting and motivating. I really appreciate your blogs and read them diligently, sometime to inspire me, and sometime to just keep me honest. BTW, love your captcha image. Love that, Zulfiqar–the what ifs when reading different genres! You are really cooking! And glad I can keep you honest as well as inspire 🙂 I LOVE your work! You are so right. I’m a poet and we experience the same “blood, sweat and tears” that the other writers do. We must stay “unbowed”!! Here’s one of my quatrains. Feel free to publish it. To be, biased toward color. Thank you for the poem, Arthur! And yes, if anything, poets actually have it harder than other writers.